Posted December 2nd, 2011 by Karl & filed under MailBigFile, MailBigFile News. It’s a bit of a lie, it’s actually only 4 this week. But, delve into the weekly news for MailBigFile and see what we’re up to. 1. Service Update – Business Accounts. 2. Service Update – Newsletters. 3. From Address being added to the free service. 4. Update – MailBigFile Desktop App. Made a slight alteration to how logos and images are stored and downloaded for those using Business Accounts. These will all now be downloading using the same method as when a user downloads a file, using our CloudFront service. CloudFront inspects what server is closest to your current location and allows you to download files from this server. This in turn can speed up the download speed in some cases fivefold, as you’re downloading from a server much closer to home. As a further point to this, all Business Accounts have now been assigned to the new download method with the exception of those who specifically requested not to be added to it. There’s been some slight moderations to the email newsletters and how we deliver them, including how they’re displayed. We’re also going to be making changes to the frequency of email newsletters that we send out, meaning that our users can more routinely be kept up to date with news and new advancements here at MailBigFile. Of course, you can still find all the latest up-to-date information here first on the blog. 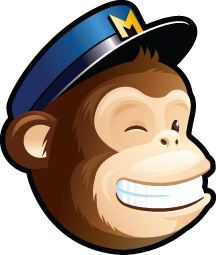 We’ve also partnered up with MailChimp to make email compiling a lot easier and manageable. 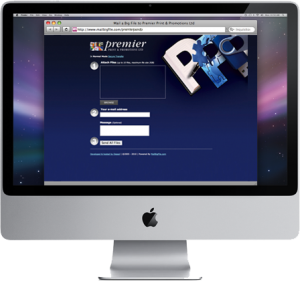 It will also be easier for you to subscribe or unsubscribe from our mailing service with MailChimp. But why would you want to unsubscribe? From Address being added to the Free service. We do receive a number of calls from users mentioned that they’ve received a file someone has sent to them on the free service, but because they do not know who it is from they’re unsure if they should open it. Most of the time, people will just use the message box to enter their name, however sometimes people can forget. If this happens, because there is no way to contact the sender, things can go missing or be left unfinished as a result. To help prevent this in future, we are now adding a from address to the free service. Now, should you receive a file and you’re in anyway unsure of how or why it’s been sent, you can contact the sender and ask them directly. Last week, we mentioned that the app was drawing closer to a finished product. Now it is less than a week away from being released. Our java developer has mentioned to me that he plans to be able to release it to the public by early next week. So stay tuned!